"Trailer Training Horses: Simple Steps to Loading Your Horse"
Don’t wait till the morning you’re leaving to find out whether your horse loads! Wherein we develop control over the horse’s individual body parts - and gain his respect along the way. Two ways to get your horse into the big scary box we call a trailer. An alternative approach to teaching your horse to load up. After the initial release of this book, I received some interesting questions. I’ve included the resulting Q&A here, figuring that others might find themselves in similar situations. ​Teach any horse to trailer load willingly when you ask! 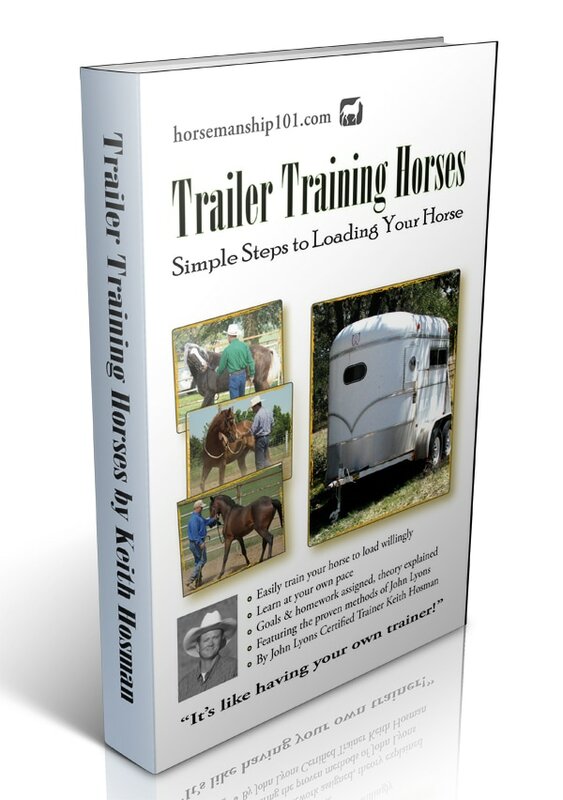 "Trailer Training Horses: Simple Steps to Loading Your Horse" is a simple, how-to guide that gets your horse trailer-trained for good. Begging your horse to enter the trailer is frustrating at best. Forcing your horse into the trailer is dangerous. And, unfortunately, you can't just leave the little bugger there at the fairgrounds, so you're stuck. Who needs the aggravation? The next time you're running late for a show and the kids are driving you nuts and you need to get your horse boxed up and you're running really late... wouldn't you love to have a pro horse trainer appear and show you what to do? Well, the bad news is, I'll be twenty states away that day. The good news is... you can bring my book! Trailer training is actually very easy - it's just a matter of knowing what steps to take, how long to do each, and what to emphasize. 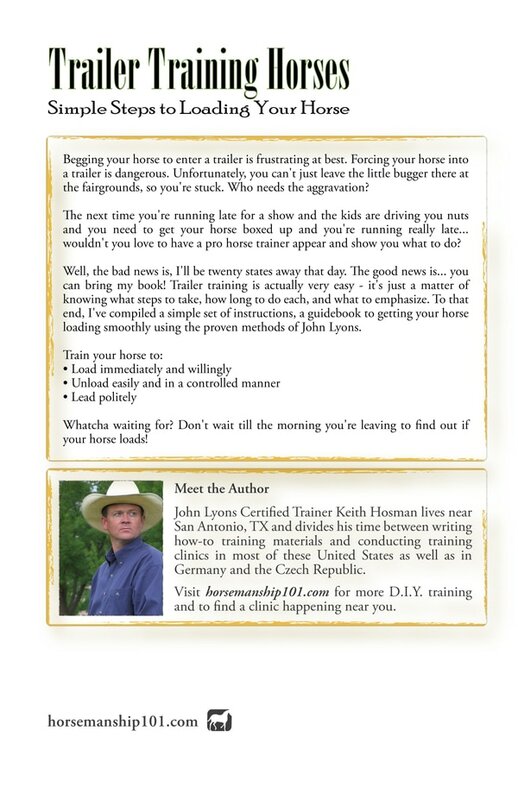 To that end, I've compiled a simple set of instructions, a guidebook to getting your horse loading smoothly using the proven methods of John Lyons. And... learn to use a round pen to teach your horse to actually look for open trailers! You point, and your horse runs over and hops in! I call them "days" but you should take this work at your own speed. Each chapter gives you a plan, a goal, theory and homework. Some segments, or "days," will be easier than others. And, while you can breeze through everything in hours, you might want to split it up over days or weeks. It's completely up to you. Whatcha waiting for? Don't wait till the morning you're leaving to find out if your horse loads!